Kimba was born on this property in 2002 when it still belonged to the previous owner. As a game breeding farm, all animals exist only for one purpose: to make money. 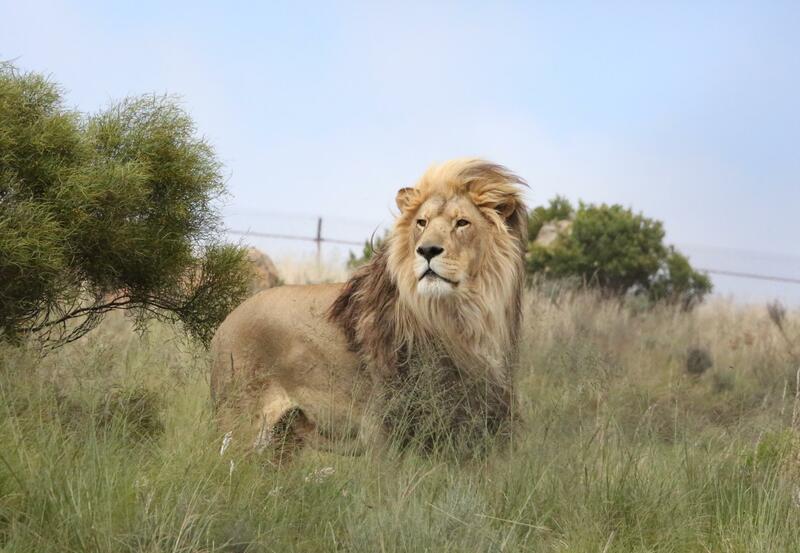 Luckily he escaped this fate when FOUR PAWS took over the property and with it a number of lions like Kimba, destined for a life in the breeding and hunting industry. 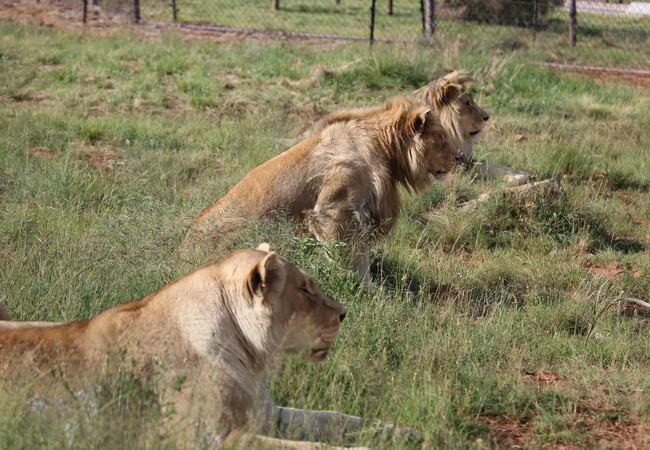 Kimba lives with two females, Elsa and Angel, which were also born here in 1999 and 2004. 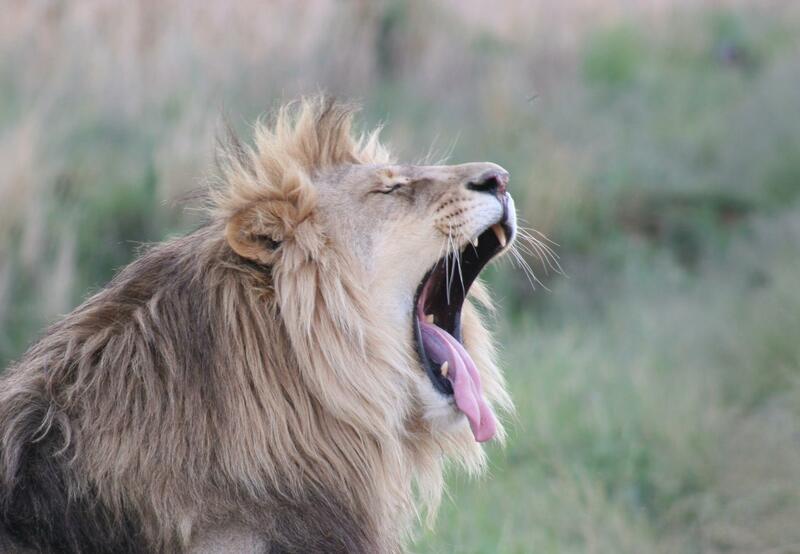 Elsa was used as a breeding female, producing as many cubs as possible, which were taken away from her shortly after birth to be hand raised and used as tourist attraction, which meant that they would later also be sold for canned hunting. Angel is one of Elsa's daughters, at the time when we took over the property she was a young lioness, locked away alone in an enclosure. Angel’s features show signs of inbreeding and did therefore most likely not have any value for the business. Unfortunately inbreeding is often a side product in this industry, because of a lack of professional management. At LIONSROCK Kimba and his females are given the right to live the rest of their lives in dignity.